We have marked a remarkable position in the market by offering the best quality array of 19 MM Flip Top Cap. 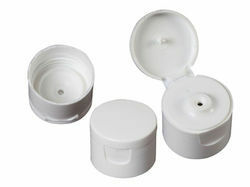 Our range of center type Flip Top Caps are used for dispensing liquid formulations like shampoos, lotions etc. 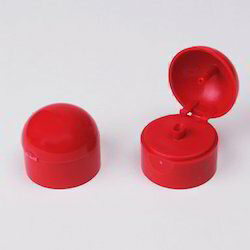 These Flip Top Caps are made up of good quality plastic raw materials. Our exclusive range of flip top caps is fabricated using quality raw material with advanced machines installed at our unit.